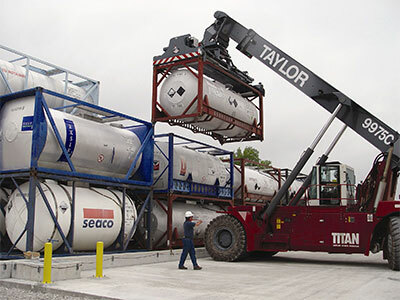 While most hazardous waste generators are aware that they have responsibilities under this law, many fail to realize their “complete” cradle to grave requirements for compliance with the RCRA regulations for the hazardous waste they generate from its initial generation, its transportation and to its final disposal. This lack of understanding is evidenced by the significant number of fines and penalties levied by government agencies each year upon corporations and organizations within the United States. The bottom line, if you generate hazardous waste you can and will be held responsible for its improper off-site transportation and disposal. Short of transporting, storing, treating, and disposing of your hazardous waste yourself, we wanted to look at what a hazardous waste generator can do to minimize their potential liability once the hazardous waste is out of their hands? This article is designed to provide guidance on questions to ask and information to seek out when choosing your hazardous waste disposal vendor. What Does Cradle to Grave Mean? First things first, “cradle to grave” states that a hazardous waste generator is responsible for its waste from initial generation through its ultimate disposal and beyond. Nothing will relinquish a generator of this responsibility. There’s no expiration date or time limit, and hiring a someone else to transport and dispose of your waste does not transfer responsibility. That’s why it is vitally important to maintain compliance and ensure you are operating by the book. If an incident happens occurs at any point during your waste’s lifecycle, you can and will be held liable. It’s possible you may also be obligated to pay some, or all, costs associated with a response or a cleanup. Why Is Cradle to Grave Necessary? In the mid-twentieth century, solid waste management issues became a matter of great public concern in many areas of the United States because of increasing solid waste generation, shrinking disposal capacity, rising disposal costs, and public opposition to the siting of new disposal facilities. Several high profile environmental disasters occurred, during the late sixties through the 1970’s including the Cuyahoga River fire and the Love Canal which led to the enactment of many of the federal environmental statutes on the books today, most notably RCRA. These solid waste management challenges continue today, as many communities are struggling to develop cost-effective, environmentally protective solutions. The growing amount of waste generated has made it increasingly important for solid waste management officials to develop strategies to manage wastes safely and cost effectively. RCRA sets up a framework for the proper management of hazardous waste. From this authority, EPA established a comprehensive regulatory program to ensure that hazardous waste is managed safely and effectively. A properly licensed and experienced hazardous waste disposal company is worth their weight in gold in helping your company maintaining federal and state standards. The right vendor will help you stay in compliance with these regulations, provide minimal disruption to your operations and perform these tasks in a cost effective manner. Selecting the right company, however, can be challenging. Here are a few steps to take during your interview process. Where will my waste be sent? Are the transporter and the Treatment, Storage and Disposal Facility (TSDF) the same company, or are they independent? Will the hazardous waste will be delivered to the TSDF that day. If not, when? If there are overnight stops on the road, will the transporter only use secured sites? Ask the initial transporter if any other transporters will be used to deliver the hazardous waste to the TSDF. Will the hazardous waste be stored in a 10-day transfer site? If the uniform hazardous waste manifest identifies a treatment or storage facility instead of a disposal facility such as a landfill, what is the location of the final destination, i.e. disposal, of the hazardous waste? Will the transporter or TSDF assist in the completion of the uniform hazardous waste manifest? As the Shipper of a hazardous material – which includes a hazardous waste – you are ultimately responsible for the correct completion of the manifest. What methods does the transporter or TSDF use to avoid spills or leaks and especially, releases to the environment? Ask your prospective vendor to provide the names and phone numbers of current customers as references. Once you have hired a qualified vendor, it's a good business practice to conduct yearly environmental audits of their performance and compliance. The Registered Hazardous Waste Transporter Database is a great place to start. Any business can run into rough patches and their service can become unreliable. With fines and investigations on the rise, it is more important than ever to work with a reliable company. Make sure that you do your part to ensure that the company is performing. REMEMBER: Maintaining compliance with your “cradle to grave” requirements cannot be offloaded to your hazardous waste vendor. You have the ultimate responsibility as the generator to ensure the regulations are followed and maintain the ultimate liability. It’s understandable that learning the ins and outs of RCRA can be time consuming and challenging. But if you’re a hazardous waste generator, it’s crucial that you take the time to do so. Not only will it help you get a better understanding of your legal requirements, it will also help you stay in compliance and avoid significant fines and legal trouble down the road.